The spring source at Bonneville Hot Springs has been around for thousands of years, healing the many people that travel to bathe in it. It has been researched that the mineral-rich water has brought Native Americans to the springs dating back 10,000 years. The water drew bathers from afar for the healing and wellness properties it offered. The oldest structure at Bonneville Hot Springs was the Cascade Springs Hotel that was constructed in 1881 by European pioneer R.J. Snow. The hotel served to shelter travelers seeking the healing waters for a number of decades until a fire devastated the structure during the 1930's. The hot springs were rendered deserted and uninhabited. The waters of hot springs could not be ignored and in 1932 a new campground was constructed. Called by the name Biba Hot Springs, it flourished and served travelers for a number of decades before it reached a state of neglect during the 1970’s. It was during the 1970’s that the current owner of Bonneville Hot Springs visited and discovered the magical waters it offered. Pete Cam suffered from rheumatoid arthritis and sought out the spring waters after hearing of the healing properties it had. Cam experienced such profound relief of his symptoms that he returned numerous times to experience the relaxation of Bonneville Hot Springs. He purchased the property in 1989 and continued to share the healing waters with the public by building a new retreat. Named Bonneville Hot Springs Resort & Spa, it continues to serve visitors to this day. The healing spring source that feeds the pools at Bonneville Hot Springs is rich with minerals that provide numerous health benefits. The spring waters are high in magnesium, sulfur, calcium, and salt; which are all essential minerals for the human body. Magnesium and calcium help to strengthen the bones of the human body as well as helping to relieve symptoms of many musculoskeletal disorders. It is no surprise that the warm soothing waters of Bonneville Hot Springs are known to relieve stress, pain, and digestive problems. It’s these reasons that people have been traveling to the magical waters of Bonneville Hot Springs for thousands of years. As the water at Bonneville Hot Springs is not scarred with additives or artificial ingredients, it is kept pure and untouched. The spring water is both healing to bathe in and safe to drink. The Resort & Spa at Bonneville Hot Springs also works to be friendly to the earth and environment in which it comes from. By harnessing the geothermal energy that resonates from the earth, Bonneville Hot Springs can operate from clean renewable energy. 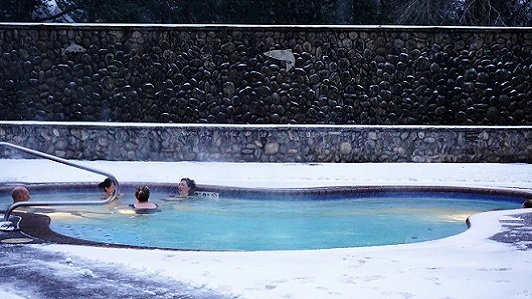 Bonneville Hot Springs offer two pools to relax in, no matter what the weather is outside. An indoor hot tub is open year-round to serve visitors and an outdoor pool is open seasonally. 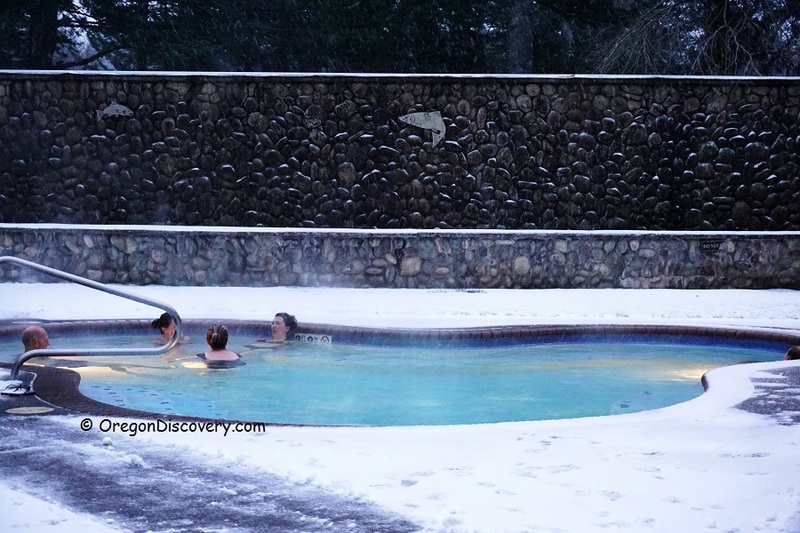 Bonneville Hot Springs also offers many other services for guests to enjoy. The hotel at Bonneville Hot Springs features all its rooms with private balconies that offer gorgeous views of the hillside or courtyard, with some rooms including private hot tubs. All these amenities alongside the magical Pacific Northwest waters make Bonneville Hot Springs the perfect place to visit. 92 miles northeast of Salem. Continue for 0.8 miles, turn right onto E Cascade Dr and then turn left.